Getting locked out of your vehicle or home is something that most of us have experienced. If this happens, rely on our professionals so that you don’t risk injuring yourself or damaging your property. Contact one of our licensed professionals and let us know that you need our help for lockouts throughout the area. Our lockout services rank among our most popular and sought-after services. This is because we are dedicated to providing the quickest and most affordable services in the area. No one wants to wait in the rain, heat, or cold, so we quickly and correctly resolve your problem with our mobile lockout service. As a locksmith, we specialize in handling lockouts. Whether you are locked out of your car or your home, simply contact one of our experienced and highly qualified locksmiths for efficient lockout services. We come to you with skilled service that resolves your lockout problem. We've been doing this for more 12 years, and our extensive knowledge of all things lock-related ensures that you will not be locked out for too long. Taking care of lockouts is our specialty, and we get results for people who are locked out every day and night. Call us for immediate response. Our mobile lockout service will meet you wherever you may be and our licensed and insured lockout specialists quickly take care of your problem. However, before we start opening doors to vehicles or residences, our locksmith will need some type of verification. So make sure you have some form of identification; otherwise, our professionals may not be able to assist you. Being locked out of your house or car means you are already experiencing a bad day. Let us make it better with the courteous and professional service. Our professionals understand that this is a frustrating experience and work to get you back inside your house or vehicle as soon as we can. It is very frustrating to be able to see your keys in the ignition or on the front seat, yet not be able to get to them. It happens to all of us. Count on our skilled professionals to provide you with prompt relief. We respond quickly to cries for service. You may be stranded at work, in a shopping center parking lock, or even alongside the road. However, without your car keys, you are not going anywhere. We are able to get into older and newer model cars. 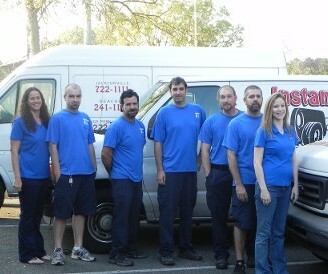 Our professionals use state-of-the-art tools that do not scratch your door or break your window. One of the tools that we use is a plastic air wedge. This makes space for a rod that can be slipped inside the door panel to access the locking mechanism. This is a quick and effective way to coax that door open in a safe manner. There never really is a convenient time to be locked out of your house is there? Whatever time of the day or night it is, our professionals are ready to roll when we get your phone call. We understand how frustrating and dangerous it may be to be locked out of your house in the middle of the night. That’s why we provide effective and efficient lockout services. Do not try to jimmy the lock or climb in through a window. Just wait somewhere safe until we arrive. Our professionals have the skill and experience to take care of this problem for you. When we arrive, we have all the necessary professional tools that allow us to get your door opened in a matter of minutes. Very soon, we will have you back inside. As a lockout is not something you can plan for, our service is available 24/7. It is very often those most inconvenient times when you find that you cannot get into your car or your house. Our professionals work evenings, weekends, and holidays, so that you are not inconvenienced one minute longer than necessary for us to get the door to your house or car open. Locked out in Jacksonville? Contact Instant Keys Inc. We quickly and affordably handle all of our customers' lockout situations with ease. Just provide us with verification and we can start immediately! Our lockout services are available to all of Jacksonville and the surrounding communities of Orange Park, Neptune Beach, Atlantic Beach, Jacksonville Beach, Ponte Vedra Beach, and Middleburg, FL.